Some Spanish hotels have started to reduce room prices in relation to their current summer holiday packages in order to hold onto and attract guests that might otherwise seek to visit nearby destinations such as Turkey or resorts located in North African countries.This reduction in prices for some Spanish hotel speaks to something else, too: after five-record breaking years of peak visitor numbers to Spain, that market seems to have reached its zenith for the time being. In this discussion, it is also important and relevant to note how important tourism is for the Spanish economy. In fact, experts say that tourism accounts for roughly 11 percent of Spain’s overall economic output. With this in mind, one gets an idea of how significant it is that Spain’s visitor numbers rose to the record level of 82 million last year, which actually made Spain the world’s second most visited country, lagging behind only the tourism giant that is nearby France. 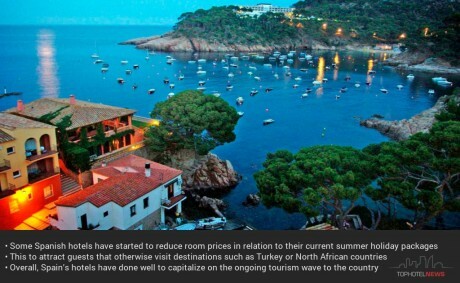 Overall, Spain’s hotels have done well to capitalize on the ongoing tourism wave to the country, increasing their prices on average somewhere around 21.4 percent over a four year prosperous period that began back in 2013, according to the country’s official stats. As with all markets, however, Spain and its hotels are now fending off competition from newcomers interested in capitalizing on its success as well. That competition is primarily coming from other potential tourism destinations in the region, specifically Turkey, Tunisia and Egypt, which have also begun to experience resurgent visitor waves of their own. In recent years, those markets have found themselves somewhat shunned by international visitors in large numbers following militant attacks and even an attempted coup. 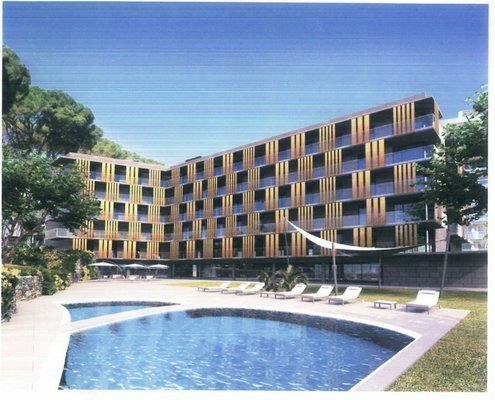 Meanwhile, information from the TOPHOTELPROJECTS database indicates that the pipeline in Spain is healthy and thriving, with several new and exciting projects still on the way. Demand for hotels is one thing, but what the Spanish markets seems well poised to realize is that in order to sustain this new level of success, it must also have a healthy and robust supply of hotel options for guests to choose from. This is definitely a situation to continue keeping track of. 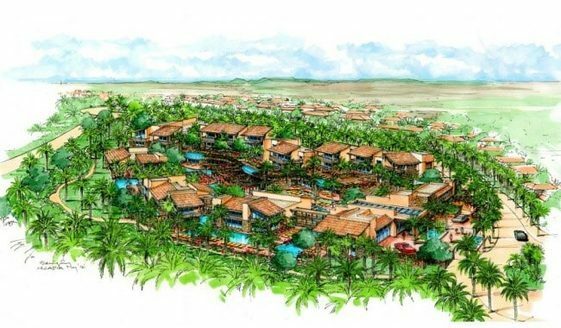 There are plans for a new luxury villa hotel in Gran Canaria. The hotel, located between Vaporet and Ermitanet streets and the coast road will have five floors plus a ground floor with reception and lobby. More information on hotel projects in the EMEA region can be found in the TOPHOTELPROJECTS database. 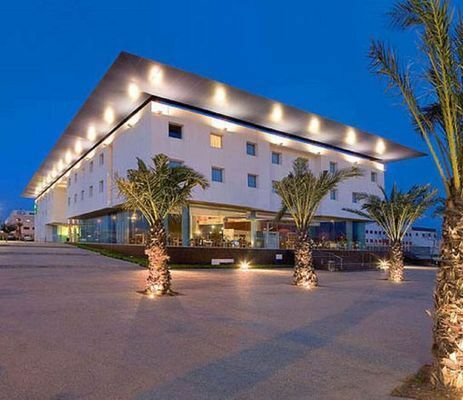 TOPHOTELPROJECTS is the specialized service provider of cutting-edge information of the hospitality industry.